The Fertile Crescent is known to have existed as the Garden of Eden in biblical stories. The Garden was once a desert, which was then transformed into a picturesque scene of nature, and then lost all of its green qualities, turning back into a land of sand and isolation. The Fertile Crescent, however, is not just the origin of the creation of man. In this piece, the Fertile Crescent can be seen to have made lasting impacts on society. It is important to sort out the biblical stories from the evidence found by scientific and historical investigations. 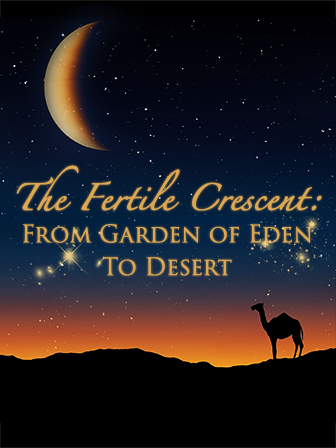 Students may not be very familiar with the Fertile Crescent or even the Garden of Eden, so this piece is helpful, in that, it provides background information as well as new and different perspectives about this historical piece of land.